In a previous post I mentioned that there is a Dollar Tree in the plaza near my new office. I've been really bored at work lately (the attorneys have been too busy to give me any work and I'm there 90 minutes longer every day because I now have Fridays off) and today was the first decent weather day this week, so I took a walk down to the newly-opened discount store. Night Owl recently wrote a post in which he visited all his local dollar stores and had almost no luck finding sports cards. This Dollar Tree appeared to be cardless as well. After ten minutes of roaming the aisles (and choosing a birthday card for my wife) I decided to give up the search and check out. 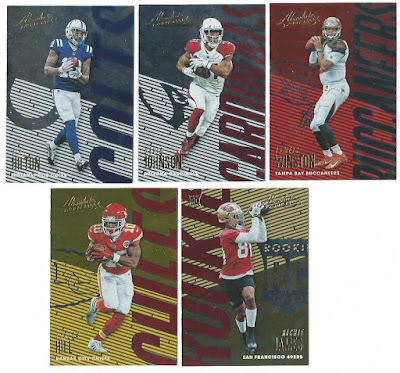 Special dollar store-sized packs of 2018 football and basketball cards. I actually noticed Aaron Rodgers on the wrapper of 2018 Score before seeing these, but I passed on those six-card packs and picked up some slightly better brands. Everything in the store was one dollar (unlike that ripoff Dollar General), so these six packs cost six bucks. None of them have insert odds, which makes me think these aren't even packed out for blaster boxes. But that's okay, since it still comes out to about a quarter a card. Luke Kennard It's a rookie card, so...maybe. Zach Collins A slightly better rookie card. Probably worth a quarter. Draymond Green I don't think I had a Draymond card until now. I'd buy it for a quarter. Ben Simmons Definitely a card I'd pluck from a quarter box. Justin Jackson I see a pattern here - two stars and two rookies. BTW, I'm working on the thrilling conclusion of The Basketball Card Diaries. Should be ready by Friday. Cam Newton A Cam for a quarter? I'll take it. Zay Jones Would you pay a quarter for a Bill? I wouldn't...not a current one, anyway. Darius Leonard Ugh..combine photos. Pass. Let's save a little time here. Nope to all four. The Absolute packs have 5 cards - two more chances to pull something for my PC. I should have bought these and only these. 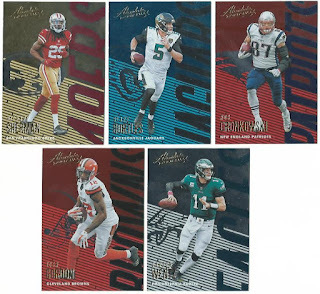 Not only are they the coolest looking cards of the bunch, they yielded the most star power - Richard Sherman, Blake Bortles, Rob Gronkowski, Josh Gordon, and Carson Wentz. I'd gladly pay a quarter for all but the Gordon. Oomph. Perhaps I spoke to soon. None of these guys interest me aside from maybe Tyreek Hill. I wouldn't choose to spend my 20 cents on any of these cards. At least I got a rookie. Overall, this was not $6 well spent and I still didn't get a Packer. Are there no Packers cards in this plaza at all??!? It was fun to pick a few packs off the shelf and write about 'em but I wouldn't do it again-especially this close to Black Friday. Can't blow my card budget on retail when the big COMC/card shop sales are just two weeks away. Have you purchased any dollar store/value packs like this? Do any of them contain inserts/hits, or are they base cards only? I've always been under the impression that the Dollar Tree packs were just base cards, with the occasional one-per-pack parallel, because of this belief, I have never really wanted to buy any. I'm not 100% positive (only hit up Dollar Tree two or three times a year), but I'm pretty sure every time I've gone there... their card section is filled with empty boxes. Or if packs are available, they look disheveled and picked through. Long story short... I've never bought any there. Threads blasters packs only had three cards. 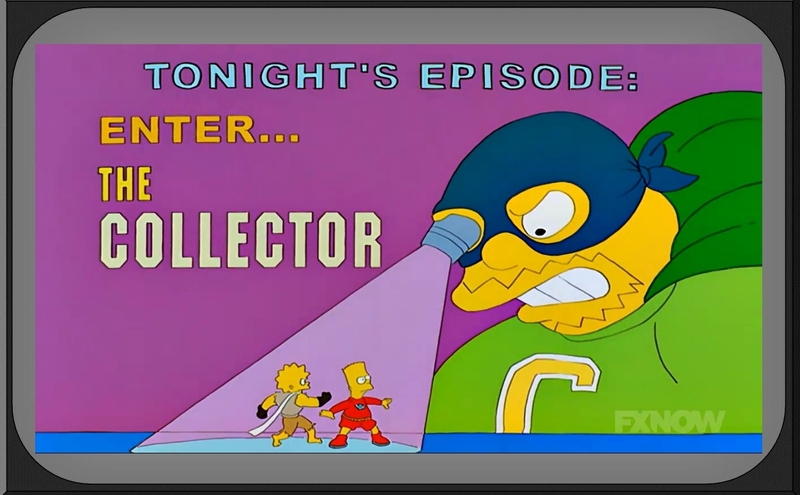 This version does not have any inserts or parallels in the packs. This year's Hoops- set to hit the stores in the next week- has a Dollar Tree exclusive yellow parallel. Luckily I enjoy a particular snack that is only carried there, and no other stores I know of, so we are in there once a week. I try to pick up a pack or two whenever I or any of my family get in there. Some of the Threads need scans on the Database, that might be a good way for you to earn some points. I used to find 20 and 30 card repacks at the Dollar Tree, but not have just been finding these 4/5 card packs. Hope the repacks come back! *now have been finding, that is.